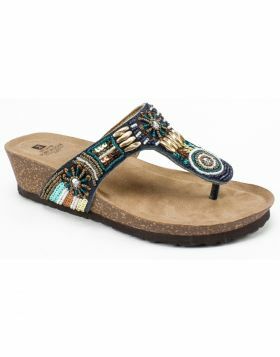 Shine bright all day and every day in the Hadyn thong sandal by White Mountain shoes. Featuring a micro suede fabric molded footbed with heel cup for ultimate comfort with sparkling style. 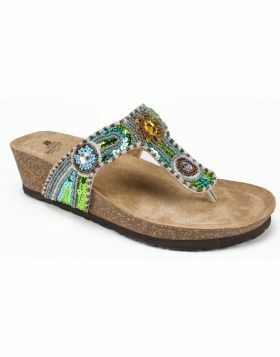 Shine bright all day and every day in the Hadyn thong sandal by White Mountain shoes. 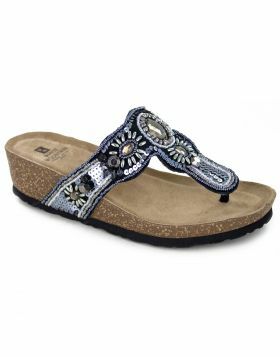 Featuring a micro suede fabric molded footbed with heel cup for ultimate comfort with sparkling style. Heel height: 1 inch.